Join old friends and make new ones at Captain Bender’s Tavern. After a long day at work or school, why not take a break and enjoy great food and drinks? We offer a great atmosphere, friendly staff, and affordable drinks! Purchase a $50 Gift voucher for just $25! 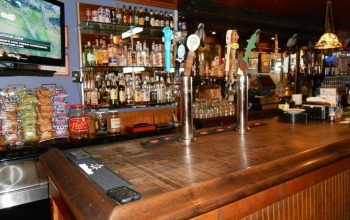 At Captain Bender’s Tavern we offer something for everyone. Welcome all weary travelers to Captain Bender's Tavern! Washington County's oldest bar! Captain Raleigh Bender was a C&O Canal boatsman during the 1800's, and proprietor of this fine tavern. Since 1936, Captain Benders Tavern has fed the hungry, quenched the thirsty, and served loyally, the historic community of Sharpsburg, Maryland. Come and enjoy our great happy hour specials Monday thru Friday from 4-7 pm. 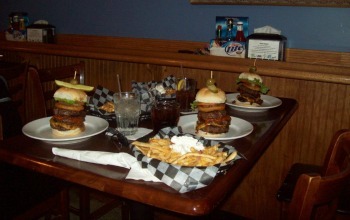 At Captain Benders Tavern, we offer something for everyone. Come listen to live entertainment throughout the month. If drinking a cocktail isn't your preference, then come down and try out our new tavern menu. There is an art to eating well, and Benders is dedicated to it. Let us indulge you with the most succulent burgers, tastiest appetizers, and a tempting array of delicious soups, salads, sides and entrees. We are a unique Tavern with an Off-Site Liquor License. We will be happy to be your neighborhood Beer, Wine and Liquor store. We are in the process of implementing a program where you can special order your favorite spirits by Tuesday and we will have it ready for pick–up on Friday by 5pm. Not valid on All You Can Eat Wings. Not Valid on $6 Burgers.